So this year, Team Bolero not only won the National Regatta and the local fleet championship, they also won the YRA's annual Champion of Champion's Regatta. Racing state-of-the-art, yellow roto-molded DeWitt Dinghy's off the Richmond Yacht Club, Ely and Judy Yamaguchi beat crews from several other one design fleets to win this weighty title. 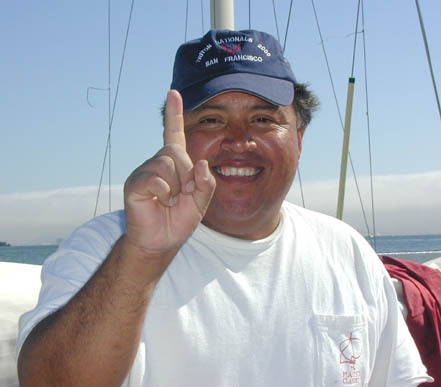 So does this victory give members of TODSF the right a bumper sticker reading "San Francisco Tritons: My Fleet Champion Can Beat Your Fleet Champion"? Congratulations Bolero!